I’ve been really stressed recently. In fact, it’s gotten so bad, there have been days when I’ve had to fight either bursting into tears or doing some physical damage. Happily, I know exactly when this extreme stress will end because I know the cause of it—I’m moving from my home of 17 years and, at the same time, getting the kitchen and bathrooms of my new home renovated. As anyone who has ever done either one of these things knows they are both extremely stressful things to go through individually, doubly so when they happen together. To deal with this, I’ve been researching ways to combat stress. Exercise is one way. Well, I can tell you, packing is great exercise. Ever since I’ve started going through all of my belongings, cleaning things out, packing them into boxes and then lifting and moving those boxes into my garage, I’ve hardly felt the need to go to the gym. I am getting plenty of exercise. Another way is through meditation. 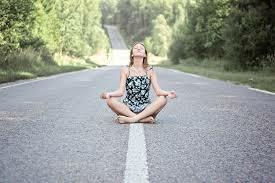 Meditation is a fantastic way to clear your mind and relieve stress. It’s just a little hard to do with the intermittent scream of a saw as my contractor cuts tiles for my bathroom (and then comes to ask me questions or tells me that he doesn’t have some vital piece or grout or this doesn’t fit and that doesn’t work… well, you get the picture). In short, I’m having a little difficulty focusing enough to meditate. And then I heard about this fantastic way of relieving stress—reading! Yes! Reading relieves stress. In a study from the University of Sussex which was published last year, they actually proved it. Reading as little as six minutes a day can reduce your stress by 70%! That’s incredible. (I also find it amazing that someone was actually able to read for only six minutes. Clearly they’re not reading paranormal fiction, or, possibly, any fiction at all). I almost always read when I eat my lunch. In fact, that’s about the only time of the day when I can just sit and relax and read what I want to read. So here I am, doing what will relieve my stress. I’m reading. Now, I thinking that maybe I should really devote myself to reading more and in a better way. While doing my research for stress relievers and stress relieving reading, I came across a fantastic concept—groups of people who get together to read. Not to talk about reading. Not to discuss some book they’ve all read. But to just read. Everyone turns off their phones, picks up a physical book and reads for an hour. It sounds like heaven to me. Of course, a lot of my books are on my tablet, so another suggestion that was made, that works really well, was to put your tablet or e-reader into airplane mode and then read. You won’t be disturbed by anything. It’ll be just like reading a physical book. Fantastic! So, what have I been reading? 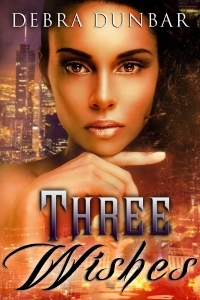 Well, first I read Debra Dunbar’s recent release, Three Wishes (and I’ve got her newest release Sins of the Flesh in my Kindle app just waiting for me to get to it). Then I felt like reading a Regency, so I enjoyed an old Jayne Ann Krentz (I really love her paranormal books too). 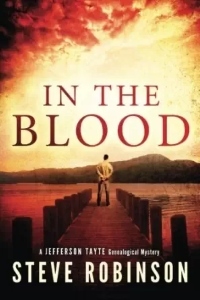 And now I’m reading a fun historical mystery called In the Blood by Steve Robinson. Oh, and I read a vampire Regency romance as well called Bite me Your Grace, which was entertaining (her research was a little obvious and she had an annoying tendency to use first names more than felt realistic and comfortable to me—but then, so did Krentz in her novel, so who knows). And I’ve got a medieval romance involving an evil sorcerer that I started reading and then left somewhere. I need to find that book and finish it — hopefully, I didn’t accidentally pack it! So what have you been relieving your stress with recently? Have you read any good books lately that you can share with us? My Hunted Highlander is Out!